Total War: Three Kingdoms for PC is a hybrid of turn-based and real-time strategy games. It is another entry in the popular series, Total War. Creative Assembly, a British studio founded in 1987 that specializes in strategy games, developed the game. The title was distributed and published by Sega. 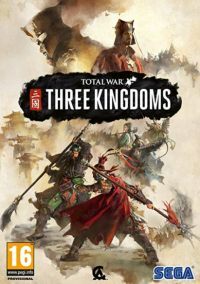 Total War: Three Kingdoms for PC starts in year 190, during the final ages of the Han dynasty. Its downfall led to the division of the empire into three rival kingdoms. It is one of the more important eras in the history of China. It was thoroughly described in the novel from 14th century Romance of the Three Kingdoms. This book was very influential and remains popular in the Eastern Asia to this day. It inspired many other video games. The PC version of Total War: Three Kingdoms focuses on the division of the Empire and the internal fight for influence between powerful families and factions. They are supporting or opposing the merciless rules of Dong Zhuo who fully controlled the actions of the last, young Han emperor. During the game two aspects are important – military strength and the diplomacy skills needed to act in the chaotic world of Chinese politics. Expectations: 8.4 / 10 calculated out of 210 players' votes.